See the Stoicism Today Blog via Exeter University. Remember to follow @Stoicweek on Twitter #Stoicweek for daily updates snippets. Day 4 of Living the Stoic Life! Poll: Who is your favourite wise man? Day 2 of Living the Stoic Life! Author Donald RobertsonPosted on November 28, 2012 Categories StoicismTags philosophy, poll, Stoic, StoicismLeave a comment on New Poll: Who is your favourite wise man? Goethe’s Aphorisms on Nature, translated by T.H. Huxley. Update about name change of blog and new book (Teach yourself Stoicism) as well as an archive of recent posts on Stoicism. Quick update… You may already have noticed, gentle reader, that I’ve changed the name of my blog from The Philosophy of CBT (although I’m sticking with the domain name for now) to The Virtual Stoic. The main reason is that this has turned into more of a blog focused on classics and philosophy (with a psychotherapy twist), whereas most of my posts on CBT are on my other blog (www.londoncognitive.com). The other reason (and this is news item #2) is that I’m currently writing a new book, under contract to a major publisher, called Teach yourself Stoicism, due out next year. This will be my second or third book on Stoicism, depending on whether you count Build your Resilience (2012), another book in Hodder’s Teach Yourself series, which contains references to Stoic philosophy throughout and has a final chapter dedicated to this subject. My first book on Stoicism, The Philosophy of CBT (2010), was a bit more of an academic text on philosophy and psychotherapy, Teach yourself Stoicism is more of a self-help book for the mass market. It’s well under way now and bits of it (at least the draft version) are being used in the downloadable handbook for the “Living the Stoic Life” study at the University of Exeter. Hence, in case you wondered what’s going on, I’ve been churning out lots of posts recently on Stoic-related trivia. In case you missed anything interesting, here’s a little bonus, the archive of recent blog posts – enjoy! The Stoic Philosophy of Michael Cohen? Coming Soon: How to Think Like a Roman Emperor! How “eclectic” were the Stoics? Stoic Week: What did we learn? @Stoicweek 2013 – How to stay in the loop? Online Poll: Who is your favourite Stoic? This short article explores the recurring Stoic metaphor that life is a series of financial transactions, that may be profitable or involve loss, and that the wise man does not see externals as worth buying at the expense of his own character and excellence. What if we were to view life as consisting of a series of “transactions”, in which our own actions and character are “spent” in exchange for various things? According to the Stoics, virtue is always profitable, because it is a reward enough in itself but also leads to many other good things, such as friendship. Accepting that your fate entails the occasional loss of external things is the price nature demands for your sanity. If the price you pay for external things is that you enslave yourself to them or to other people, says Epictetus, then be grateful that if you renounce them by saving your freedom you have profited insofar as you put a higher value upon that. The exchange of one fear or pleasure or pain for another fear or pleasure or pain, which are measured like coins, the greater with the less, is not the exchange of virtue. O, my dear Simmias, is there not one true coin, for which all things ought to exchange?—and that is wisdom; and only in exchange for this, and in company with this, is anything truly bought or sold, whether courage or temperance or justice. …in the true exchange, there is a purging away of all these things, and temperance, and justice, and courage, and wisdom herself are a purgation of them. […] and bear in mind that, if you do not act the same way that others do, with a view to getting things which are not under our control. you cannot be considered worthy to receive an equal share with others. […] You will be unjust, therefore, and insatiable, if, while refusing to pay the price for which such things are bought, you want to obtain them for nothing. Well, what is the price for heads of lettuce? An obol, perhaps. If, then, somebody gives up his obol and gets his heads of lettuce, while you do not give your obol, and do not get them, do not imagine that you are worse off than the man who gets his lettuce. For as he has heads of lettuce, so you have your obol which you have not given away. 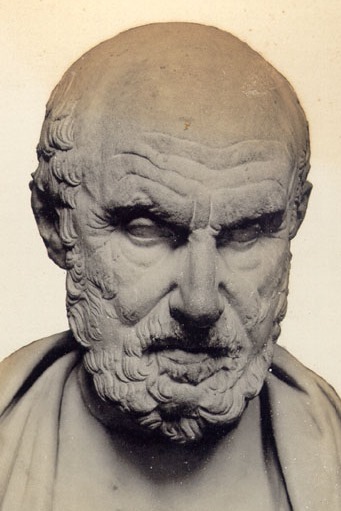 Likewise, we’re told that for the early Stoics the most important synonym of the good (agathos) was the noun “benefit” (ôpheleia) or “help” (yes, perhaps like the name of Hamlet’s “girlfriend”, Ophelia). This word can mean the “help” a physician provides to a patient, military support, but also help or assistance in a more general sense, including financial assistance, and it is sometimes also translated as a “profit”. In other words, “the good” was interpreted as analogous to something profitable in a financial transaction or, as we might say, it’s a “good investment” on our part, one that “repays” everything we put into it. We might say the Stoic refuses to “sell out” and abandon his fundamental principles for material gain. There are, in fact, many references to the metaphor of financial transactions in the surviving Stoic literature and so this concept appears to have been a very old and important one in the Stoic tradition. It seems likely that the founders of Stoicism, whose writings are almost entirely lost to us now, may have written more on the subject, which inspired the later Roman Stoics to continue the theme. What then is being bought and sold? Hence, we are by nature “free” but sell ourselves, throughout life, in a way that must, to the ancient Greeks and Romans, have recalled the selling of a slave, a metaphor widespread in Stoic literature. The price of being a philosopher, and fulfilling our potential as rational beings, can be particularly high but the rewards make it a profitable investment. In short, it’s possible that the phrase “nothing is got without a price”, which occurs twice in Epictetus, is being presented as a maxim employed in Stoicism, albeit one which could have been an already-established folk-saying. Before the Stoics, in Plato’s Phaedo, Socrates uses the analogy of financial transaction to suggest that men who show courage in one situation out of fear of another, or moderation in one area for the sake of licence in another, are doing so at no profit and that the only “valid currency” which pleasures and pains should be exchanged for the sake of, is wisdom (Phaedo, 69ab). When we endure pain or forbear pleasure for wisdom, we have genuine virtue, otherwise we have pseudo-virtues. Yet if men are willing to suffer danger for lust, we might add, or to sacrifice pleasure to avoid danger, then this proves that virtue is possible, and lovers of wisdom should be even more willing than these men to do the same things for greater profit. If men are willing to show great courage and self-discipline for small change then why are we not willing to do so for the chief good in life? Excerpts from the fifth Satire of the poet Persius, a contemporary of Seneca, which deals with his own Stoic education. Persius was a Roman poet and satirist (34-62 AD), who was apparently schooled in Stoic philosophy from adolescence and explicitly refers to it in his surviving writings. He was a contemporary of the philosopher Seneca, whom he apparently met, and was friends with Seneca’s nephew, the Stoic epic-poet Lucan, although his own mentor was Lucius Annaeus Cornutus, also a Stoic. alert for the false chink of copper beneath the gold? marking the former list with chalk and the other with charcoal? Are your wants modest, your housekeeping thrifty? Are you nice to your friends? Well then, two hooks are pulling on opposite ways. to vacillate, obeying and desecrating each master in turn. as it runs away a length of chain trails from its neck.